Prepare to embrace your inner anti-hero as Sony Pictures (and Marvel) releases the official theatrical trailer for their upcoming superhero film Venom. View trailer below. Hmmm….very interesting. I am very curious to see how they handle this character in the movie. Hopefully not to goofy. While the trailer showcases the whole “venom” persona within Brock quite well, trailers can always be a bit misleading. 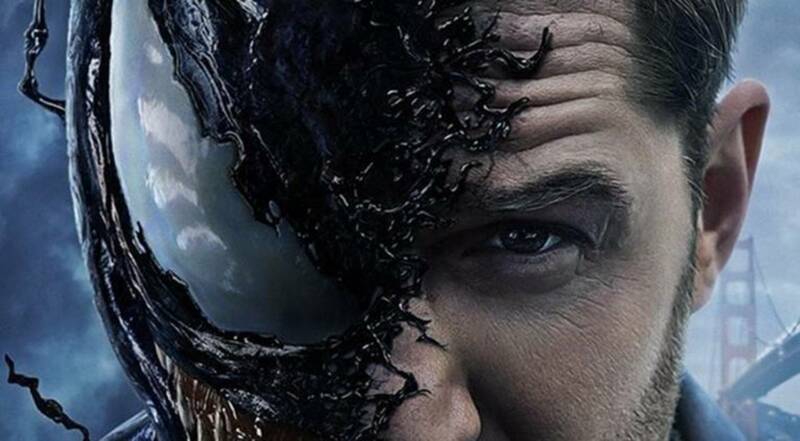 Nevertheless, Hardy has promise (to the fans) for the film to remain faithful to its source material, so let’s hope it does (and not have a Topher Grace Venom like in Spider-Man 3). Still, i do love the cast, especially Hardy and the film does look quite promising. Let’s hope Venom is a solid superhero feature. Oh yes, this one looks like a way different beast than its predecessor – in the best possible way! Love Tom Hardy. Definitely. Hopefully this new iteration of Venom will be good. Plus, Hardy is better than Grace. I’m also interested in seeing how this turns out.